Going from good to exceptional is not only about how you hit the ball – it requires a holistic approach that also includes fitness, mindset, and personal growth. 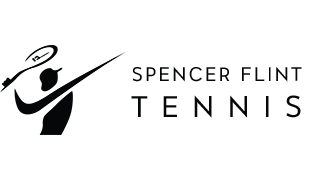 Spencer Flint Tennis is about excellence in tennis coaching, mental game coaching, training, and personal development. I’m recognized for getting your son or daughter the highest possible rankings and earning college scholarships. Space in 2019 is extremely limited. 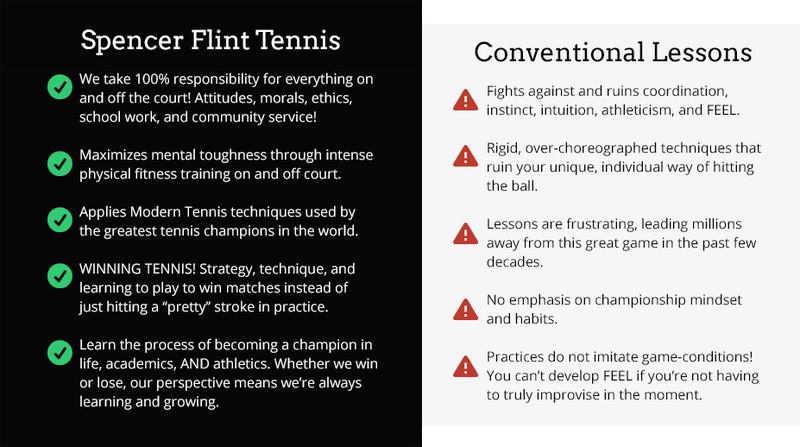 Call Spencer Flint, New England’s Premier Modern Tennis Coach, at (508) 367-8954 or click the button below to get in touch and learn more. Have you been playing for months or even years and can’t seem to get to the next level? Chances are you’re heading down a dead end street named Conventional Instruction. It kills your coordination, feel, and athleticism. At the end of this street you’ll be left on the scrap heap of limitation, frustration, and doom. The fact is that no two people hit the ball the exact same way. Agassi doesn’t hit the same as Sampras. My job as a pro is to bring out your personal, natural athleticism and allow it to flourish. I’ve helped students rise up in the rankings, win State Championships, and earn college scholarships. By combining Modern Tennis techniques with physical fitness training and self development, my students don’t just become better tennis players – they become better people, too. I am not part of the tennis coaching clique and I am not interested in signing up your child for endless lessons; I truly care about coaching your child into becoming a winner in tennis, academics, and in life. My philosophy, dialed in focus, and burning desire to watch my students succeed means I am demanding. I am not the right tennis coach for everyone. If you want to become great at tennis and are ready to build a championship mentality on and off the court, I can help. Give me a call at (508) 367-8954 or click the button below. Let’s get you to the next level. Learn about some of the great results my clients have seen, as well as more information about how we can work together. My name is Spencer Flint. I’m here to help you rise to your greatest capabilities while bringing back the fun of tennis. I can help restore everything you’ve lost and get your game back on track. I’ve played tennis for over 30 years and was ranked among the top 20 in New England as a junior. I’ve coached hundreds of people with Modern Tennis Instruction since then. From my experience, I can tell you the biggest factor in deciding matches is NOT the shots you play. It is your mental approach, aptitude, and application. My tennis coaching focuses on what matters the most to help you get real results on the court. Click the button to learn more about me and my methodologies. 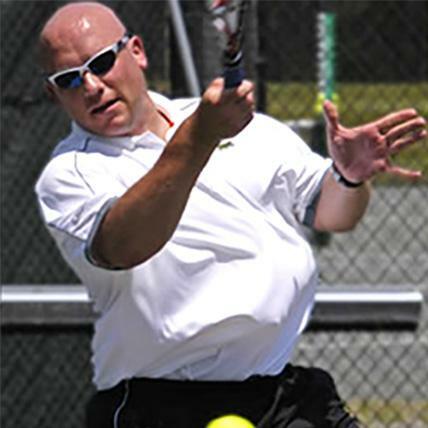 Spencer Flint, based out of Massachusetts, is New England's Premier Tennis Coach. 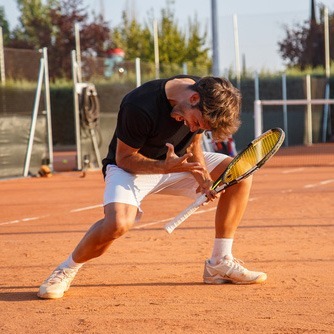 Combining Modern Tennis Methodology with mental toughness training, students quickly see real results in matches and tournament play. Get in touch today by calling (508) 367-8954. Serving Beverly, Salem, Danvers, Lynn, Peabody, Manchester, Boston, and all suburbs and towns in the greater Boston area.